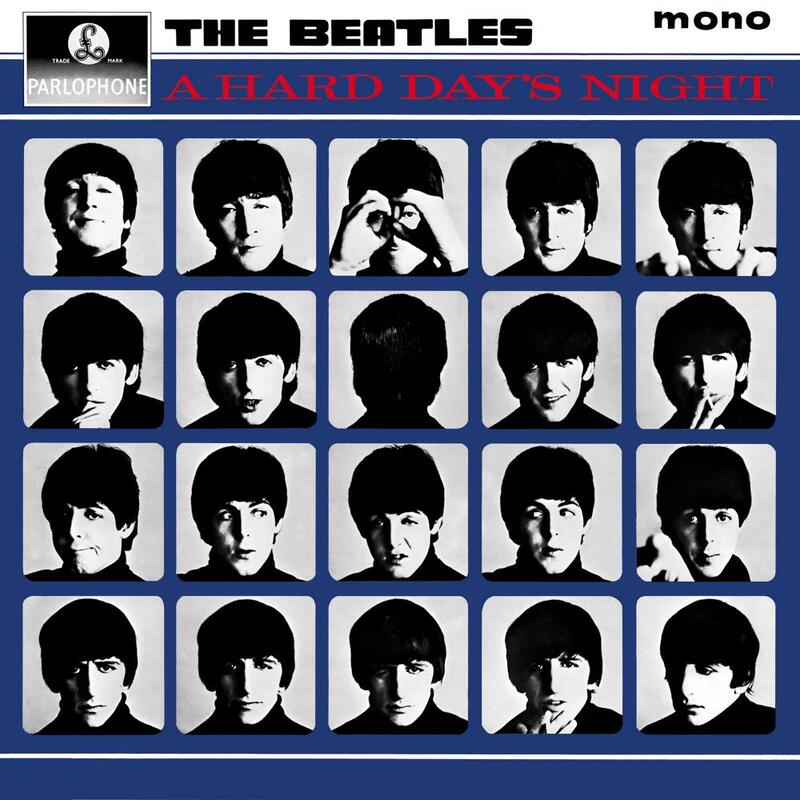 This entry was posted in StarTreKomics!, The Beatles, Toon Tuesday and tagged A Hard Day's Night, crossover, George Harrison, John Lennon, Kirk, mccoy, Parlophone, Paul McCartney, Ringo Starr, scotty, Spock, Star Trek, The Beatles. Bookmark the permalink. It’s a cute picture, and it must have taken you awhile to find the right expressions for all those faces! Hi Everybody! 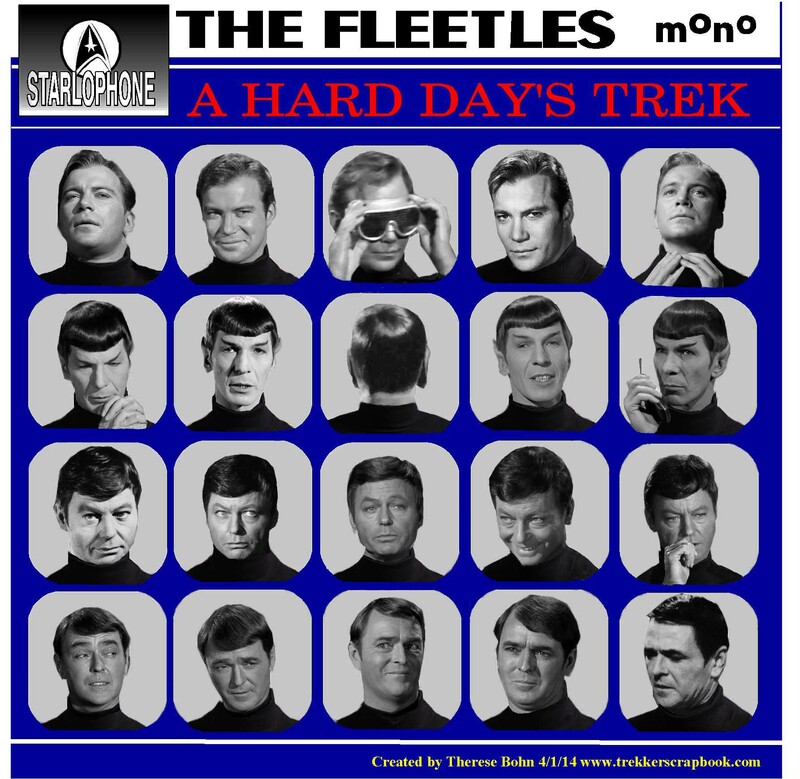 Well, to answer your questions… If you look at the “Meet The Fleetles” poster I did,- https://trekkerscrapbook.com/2013/05/14/toon-tuesday-31413-meet-the-fleetles/meet-fleet-2/ –I placed the heads in the order that worked for me; John was considered (although he didn’t like the title) “the Leader” of The Beatles, so naturally Kirk ‘became’ Lennon. Spock is Harrison because Nimoy and Harrison are just two of my favorite people who ever lived (and because they both eternally cool!) McCoy became Paul because I had to get the trinity on the top row, (As McCoy is the heart of Trek, McCartney is the heart of the Beatles) and Scotty was left so naturally he became Ringo! If you look at the Trek Toon I made called “Beatle Trek”, https://trekkerscrapbook.com/startrekomics/beatletrek/ you’ll see the corresponding Beatle heads on Trek bodies and vice-versa! I’ve loved making all my Beatle/Trek crossovers, and I’m sure I’ll come up with more in the future! Thanks for the reblog! I’d love to see this go viral! Jim Kirk is NOT John Lennon!